This came across my desk here at the Jewish Single Malt Whisky Society HQ. 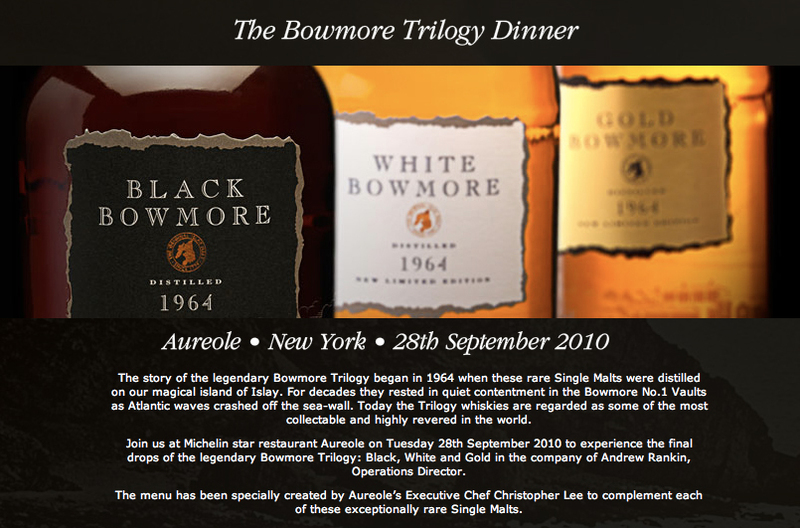 For $250 you get a final and rare opportunity to enjoy some of the finest and oldest Bowmore whiskies out today – plus an amazing dinner – all at Aurole in New York City. This dinner and tasting will be held on Tuesday, September 28th, 2010. Click the here for more details and/or to buy tickets. Previous PostField Trip to Scotland! (or, Living vicariously through one of my readers)Next PostGlenmorangie Signet – Wonderfully different yet so quintessentially Glenmo!